Welcome to a new series on Mind Body Spirit Odyssey. Over the next 12 months, I will be taking a look at the healing and wellness properties for gemstones of the zodiac. There are many different gemstones assigned to the zodiac, depending on whether you wish to go with a modern, traditional, or other approach. For the purposes of this series, and in keeping with the Mind Body Spirit Odyssey tradition, I am going to go with the Mystical Zodiac Stone approach. The first sign of the Zodiac is Aries (March 21 - April 20). The Mystical Zodiac stone for Aries is Opal. There are several schools of thought on the origin of the word “opal”. Some say it is from the Sanskrit “upala”, which means “jewel”. Some say it is from the Latin “opalus”. The Romans referred to it as “cupid paedros” (beautiful child that signifies love). 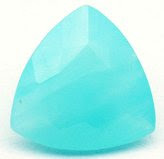 Opal is actually a silica gel that has hardened. 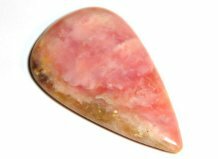 This makes is unique in that, unlike most gemstones, it is non-crystalline. 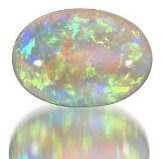 Precious opal, the kind you most often think of when you hear “opal”, refracts light because of the way the silica aligned in the stone’s formation. It dates back as far as 250 B.C., when Emperor Constantine was said to have placed an opal in his crown, believing it to protect his life. He, and various scholars, believe it to help you become “invisible” at times when you do not wish to be seen. Can enhance power and awaken inner fire, helping to let go of past issues. It can also be used in rituals to increase the passion in a relationship, and awaken sexual energy. Allows you to see beyond this plane, into the ethereal, and to become one with all that is around you. Helps realign past life issues that are having an impact on the here and now. Also a great stone to use for wishing. Removes constrictions and allows you to see things fresh, with new eyes. This is a great stone to detox both the body and the mind. It removes all the obstacles and filters and lets you see and feel things more clearly. Aides in centering and alignment. Assists in the opening up of the Third Eye, allowing you better insight. 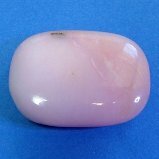 A powerful stone sought by Wiccans and magicians. It traps the negative, and releases light. As a result, it will amplify your magic, increase your strength, heighten your sexuality and get you on the right path. Reduces stress and tension, allowing your ideas to flow more freely. It can also quiet the mind and relax you enough to sleep. This stone will raise your spirits, bring you to a higher place, and help you develop the yin and yang you need to be more balanced when it comes to being able to give and receive. Even though all opals are believed to be good luck stones, they also have a dark side. The stones will resonate with whatever emotions you are holding tightly. These stones will heal you if you allow them to. However, if you hold on to the negative emotions, and block the stones from helping you release them, then the stones will channel those thoughts and emotions with the same power they would have used to dispel them. 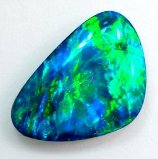 So, if you wear opals when in a particularly down time, they will hinder, rather than help. It is best to wear these stones when you are ready to let go of your issues. 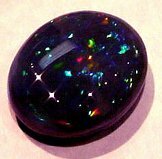 Astrologists believe opals to be a stone of the moon. If you wish to charge your stones, offer them up to the full moon, to help increase their power. You can also read Giani's Tarot reviews in the Review section of this blog. I'm definitely looking forward to reading more upcoming articles in this wonderful new series, and I thank Giani very much for his wonderful continued contributions to Mind Body Spirit Odyssey.